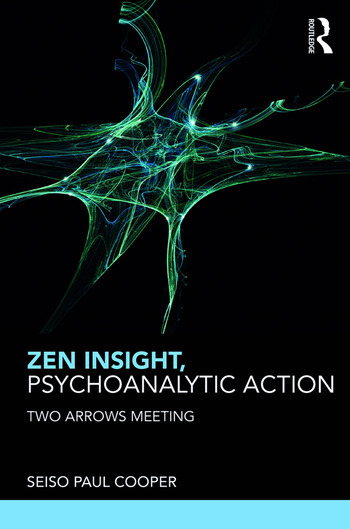 Drawing from original source material, contemporary scholarship, and Wilfred Bion’s psychoanalytic writings, Zen Insight, Psychoanalytic Action: Two Arrows Meeting introduces the Zen notion of "gūjin," or total exertion, and elaborates a realizational perspective that integrates Zen Buddhism and psychoanalysis. Developed by the thirteenth century Zen teacher and founder of the Japanese Soto Zen school, Eihei Dogen, gūjin finds expression and is referenced in various contemporary scholarly and religious commentaries. This book explains this pivotal Zen concept and addresses themes by drawing from translated source material, academic scholarship, traditional Zen kōans and teaching stories, extensive commentarial literature, interpretive writings by contemporary Soto Zen teachers, psychoanalytic theory, clinical material, and poetry, as well as the author’s thirty years of personal experience as a psychoanalyst, supervisor, psychoanalytic educator, ordained Soto Zen priest, and transmitted Soto Zen teacher. 7. Zen musings on Bion’s "O" and "K"